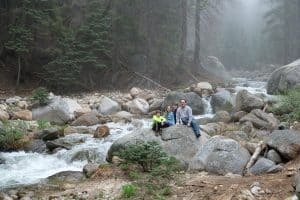 As a parent, one of my greatest fears is that someday, when our kids are grown, we’ll look back with regret that we didn’t try harder to achieve our travel dreams. 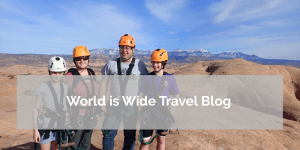 Thanks to a clear set of travel goals, our family is on our way to seeing all seven continents, all 50 states, and experiencing all kinds of amazing natural wonders and zip lines along the way. 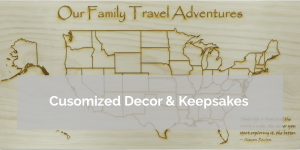 Because we love all things travel, we also offer World is Wide Travel Décor and Keepsakes, where we can create customized keepsakes of all kinds to capture your travel memories. We also can create school spirit items and so much more! Click on World is Wide’s options below to get started!